Associated Bank will host a Stock the Box for Hunger food collection campaign in branches and corporate offices in Wisconsin, Illinois and Minnesota through December. 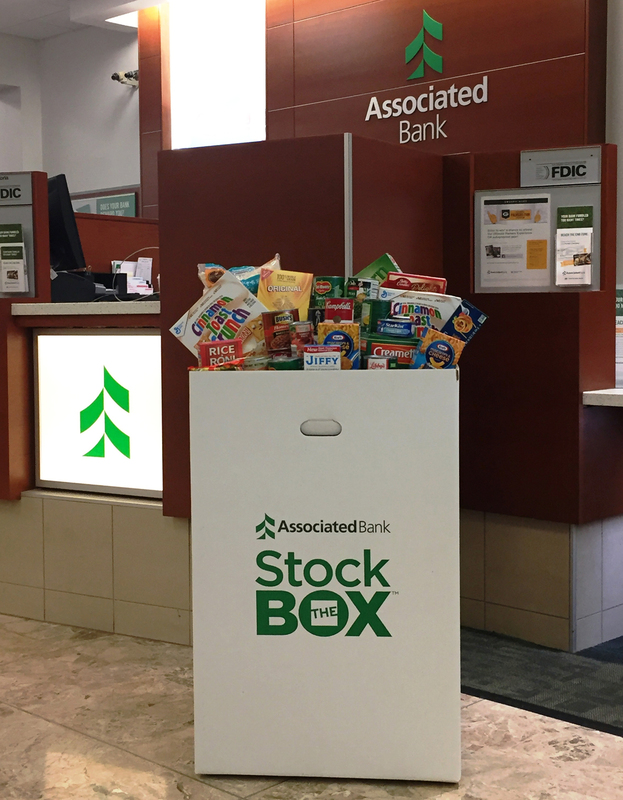 Associated Bank’s Stock the Box for Hunger™ campaign to benefit Feeding America will take place in branches and corporate offices in Wisconsin, Illinois and Minnesota through December. This issue of hunger exists in nearly every community, with a devastating impact – particularly on the elderly and children. Feeding America’s mission is to feed those in need and work collaboratively with community partners to resolve the issues that lead to hunger and food insecurity. At the end of the campaign, food donations will be paired with Feeding America member food banks in each of the communities we live and serve. Only nonperishable, non-glass food items will be accepted. Visit any branch location to learn more and make a donation by Dec. 31.